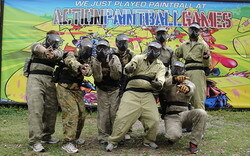 Action Paintball has the best playing fields in NSW. Paintball can be played by anyone over the age of 16. Whatever the occasion - birthdays, bucks, corporate events or just for fun. No skill level required to play. 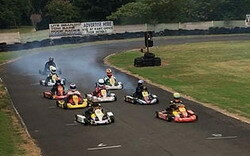 Sydney's best outdoor hire kart track. Fun for all the family to enjoy. Guaranteed to get the adrenalin flowing and the heart pumping. Spectacular one hour hot air balloon flights over the Hills and Hawkesbury areas. Skim low over parks and gardens then ascend to enjoy panoramic views extending from the city skyline to the surrounding countryside and Blue Mountains. Gift vouchers and packages available. Get behind the wheel of a V8 buggy or WRX turbo rally car. Introducing the most extreme V8 race cars on dirt - these machines are the ultimate in off-road racing. 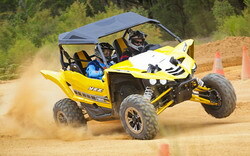 The only driving experience in Australia to offer you a fully race prepped V8 buggy for you to drive. Indoor trampoline park for tots to teens. The kids will love the 400 square metres of arena surface. 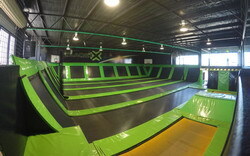 Including Australia's longest continuous trampolines. Beginners to experts welcome. Tobruk Sheep Station, the most beautiful and most authentic rural experience in the Sydney region. An exciting, fun and interactive farm experience for all ages. Enjoy a hearty country BBQ lunch in the Woolshed Restaurant or BYO. Show runs weekdays and weekends. Bookings essential. Located on the Grose River with courses soaring through the beautiful Sydney Blue Gum canopy. 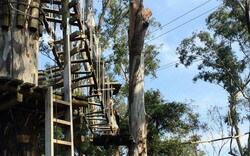 Offering 5 levels of difficulty (from beginners low and easy to thrill seekers at 26m), 10 courses, 110 challenges including more than 20 flying foxes. This adventure park is the biggest of its kind in Australia. The WAE Foundation is a not for profit organisation located in the beautiful Hawkesbury. Our Conservation Centre is the only one of its kind in Australia that is focused on the preservation and conservation of exotic animal species, with a particular focus on cats. Private tours of our Centre can be arranged by appointment only. During this 90 minute guided tour of the centre you will go behind the scenes and learn about the WAE Foundation's conservation efforts. 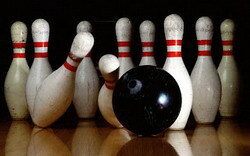 Take the family and friends to enjoy a fantastic tenpin bowling experience - great for rainy days! Family fun days, birthday parties catered for, licenced café and more.